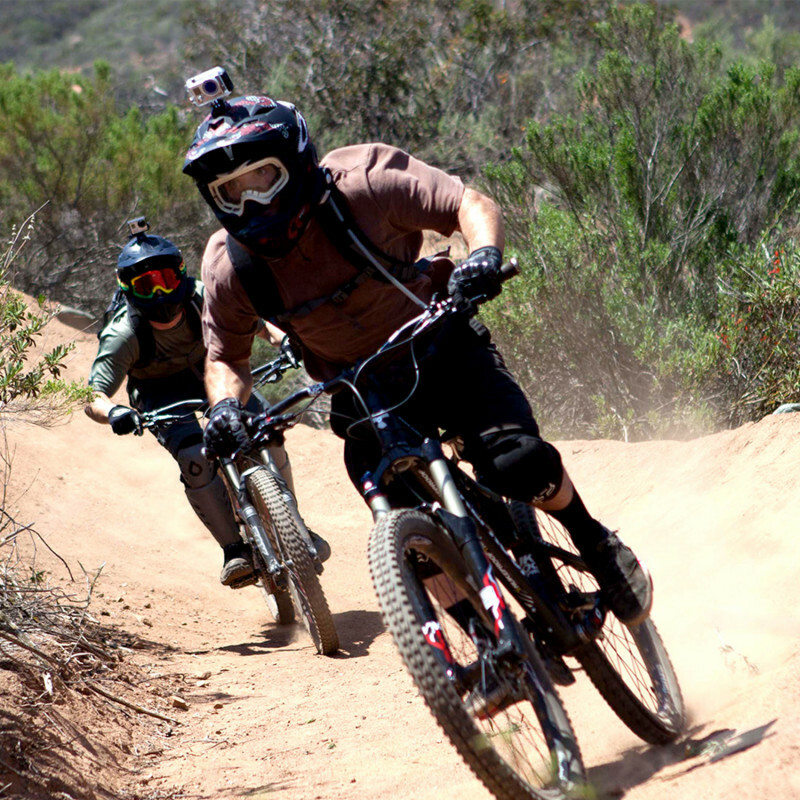 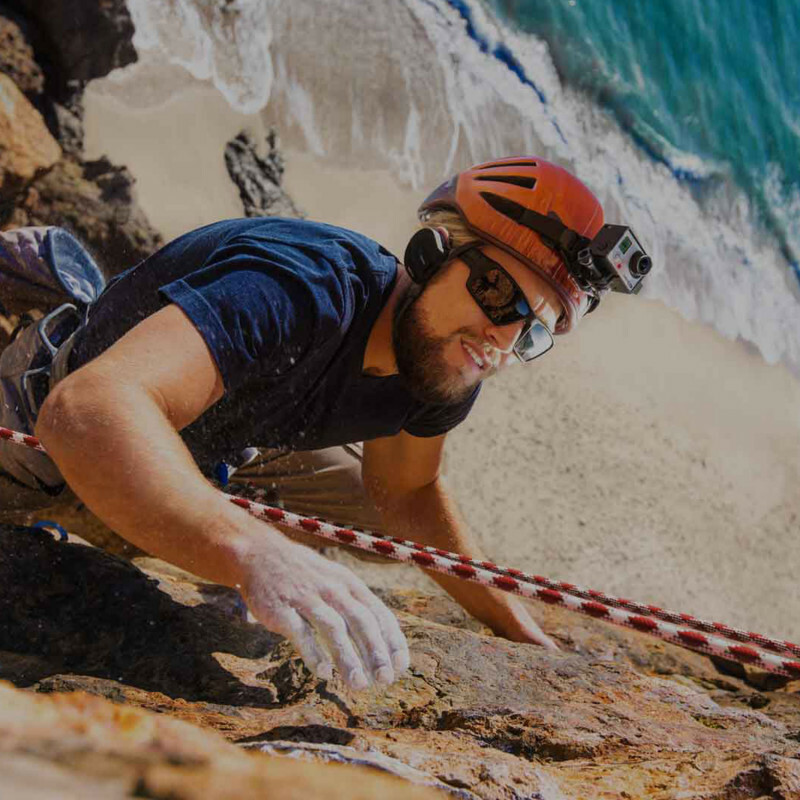 The GoPro camera captures the action and the ambiance of your adventures. 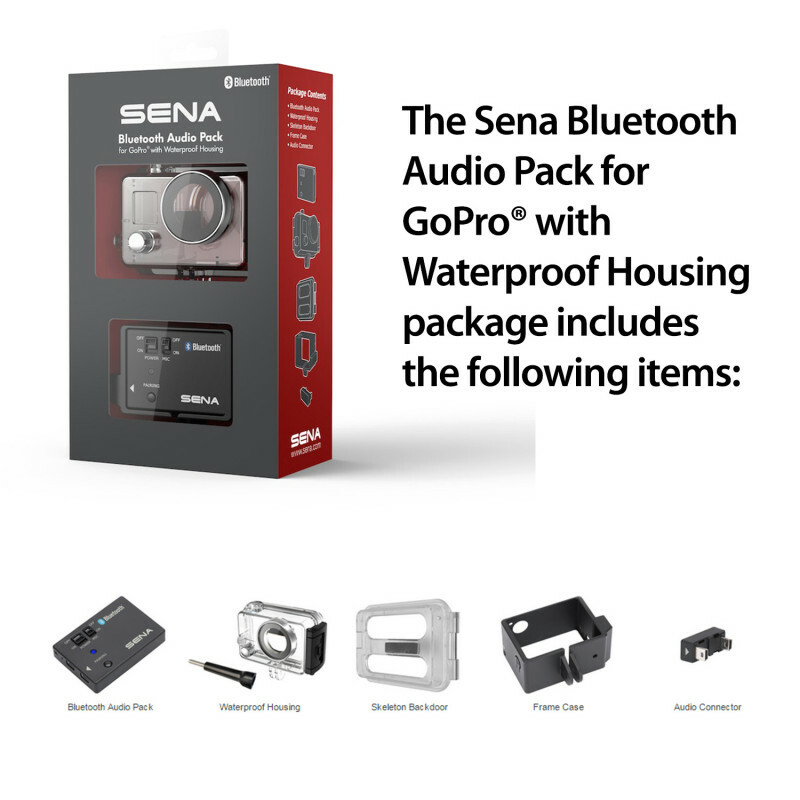 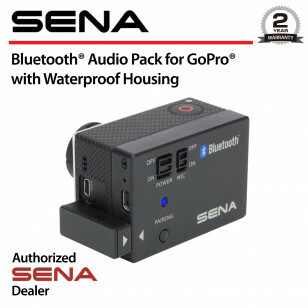 Now, the Sena Bluetooth Audio Pack for GoPro, gives you the cinematic soundscape to go along with it. 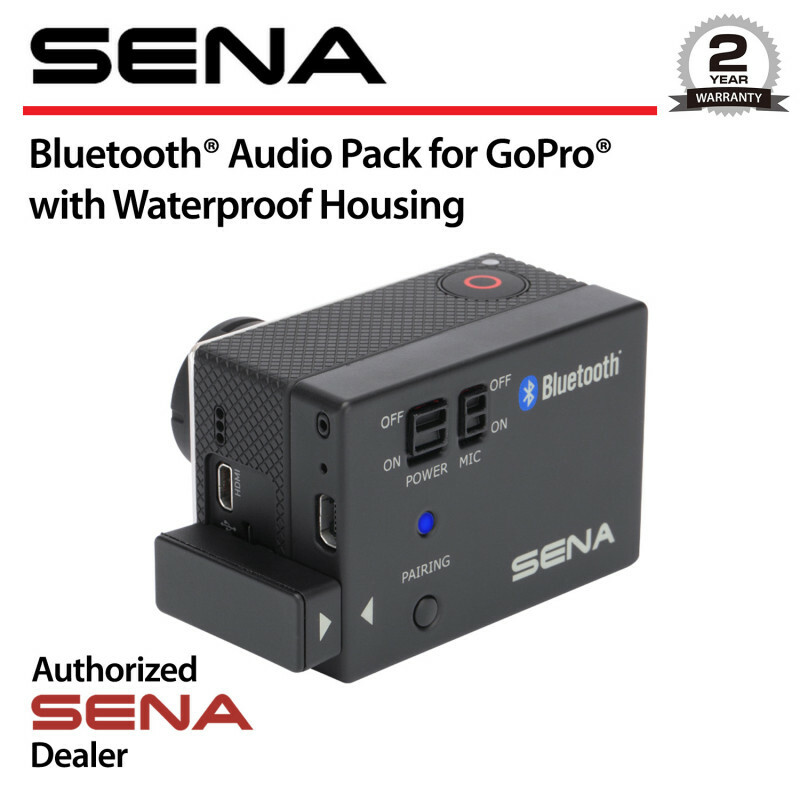 It features an integrated HD microphone, that supports Ultra HD Voice Recording™, and has the ability to mix multiple inputs from intercom channels over the Bluetooth 3.0 wireless protocol. 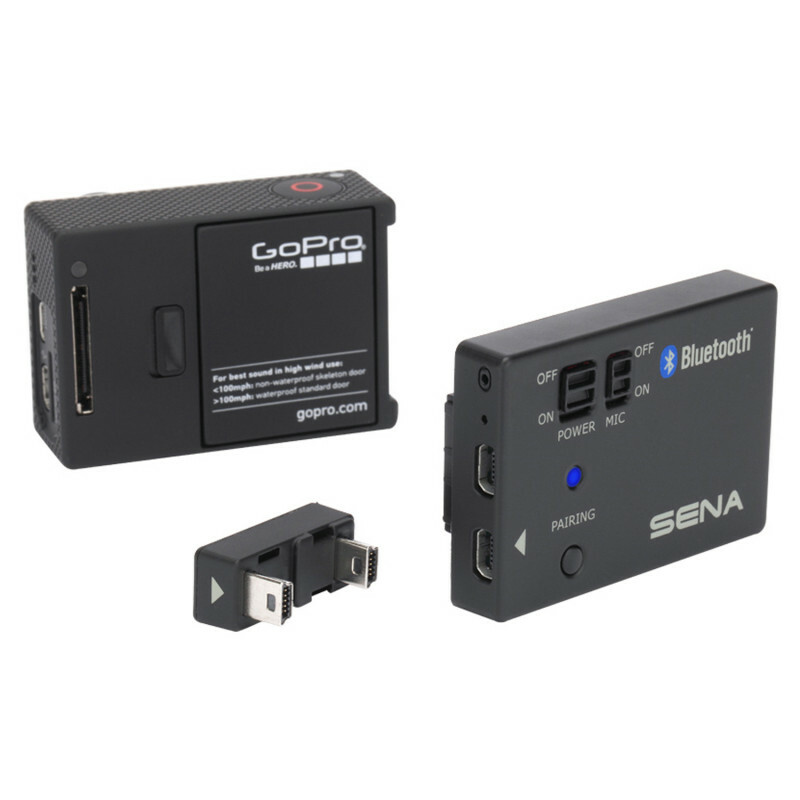 The Audio Pack is compatible with GoPro® HERO3, 3+ and 4 cameras. 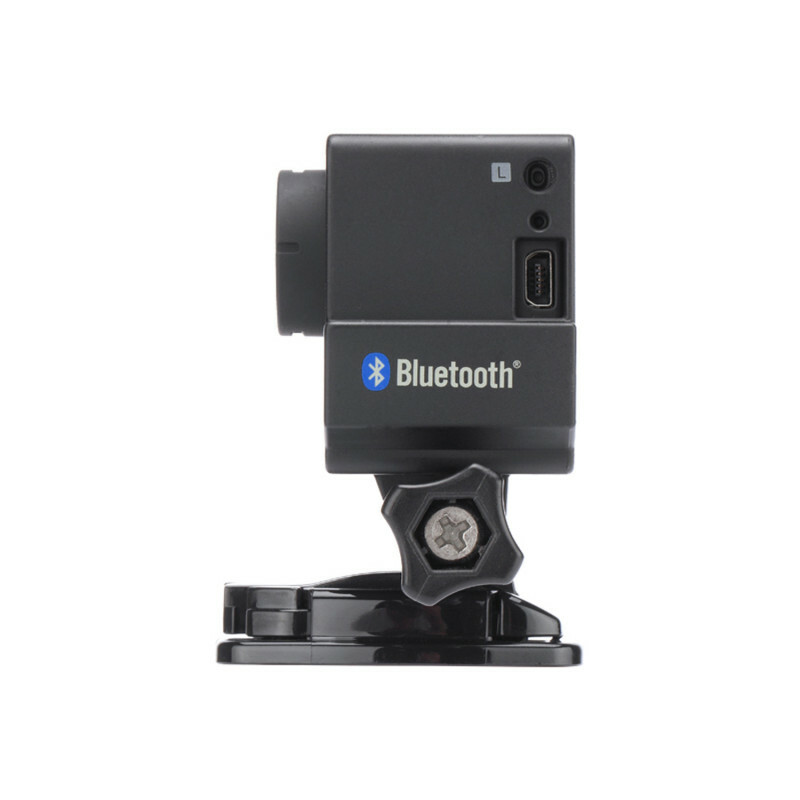 No matter where you mount your GoPro®>, when it's equipped with the Bluetooth Audio Pack, external microphones aren't needed. 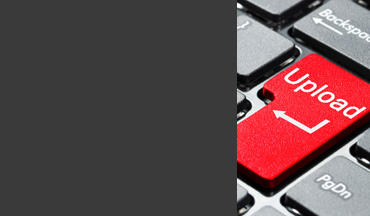 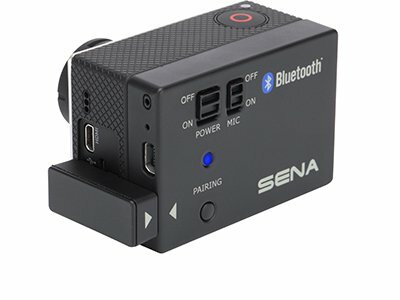 The quality of sound captured from the Audio Pack truly outperforms conventional microphone logic. 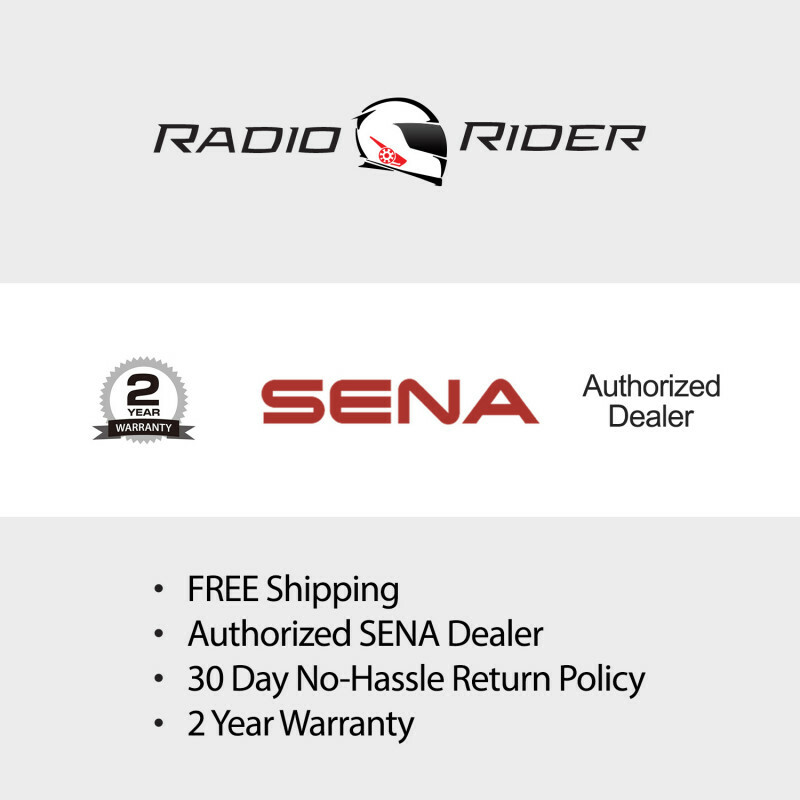 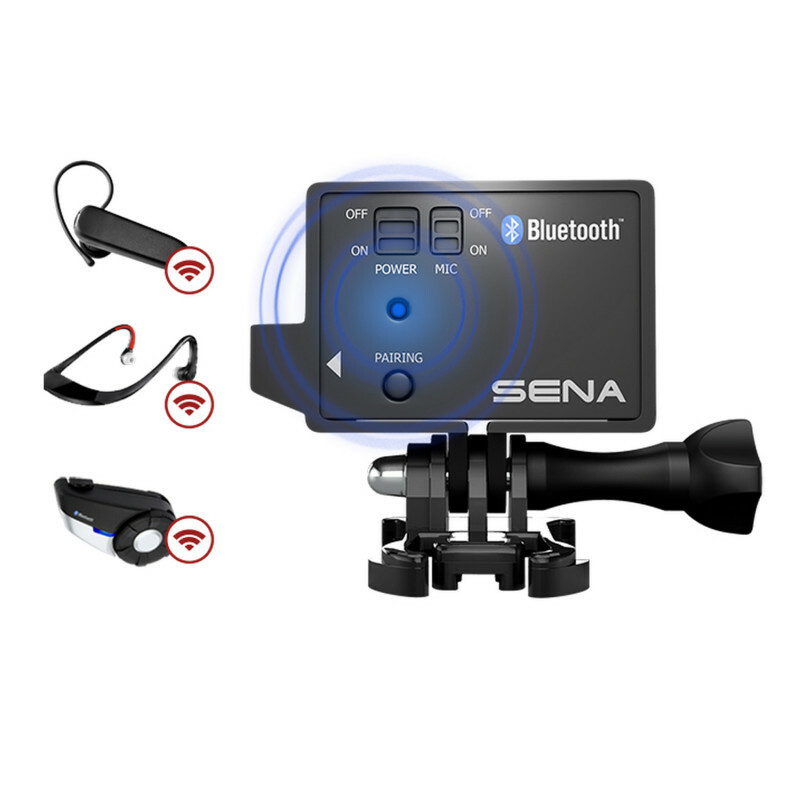 The Sena Bluetooth Audio Pack also mixes the voices from the intercom into your video soundtrack to capture the excitement of your adventure from everyone's perspective. 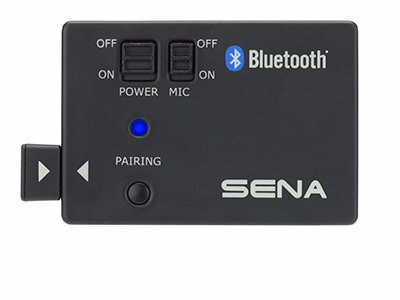 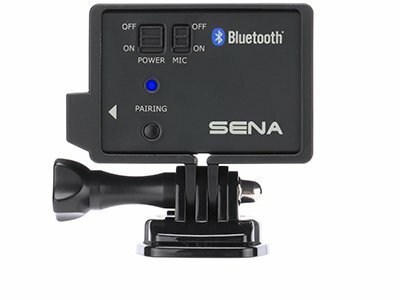 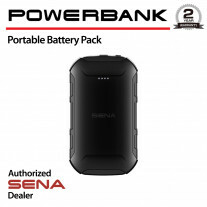 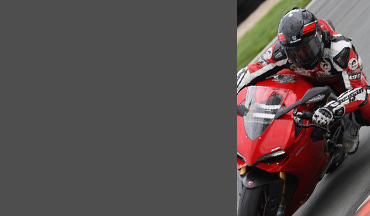 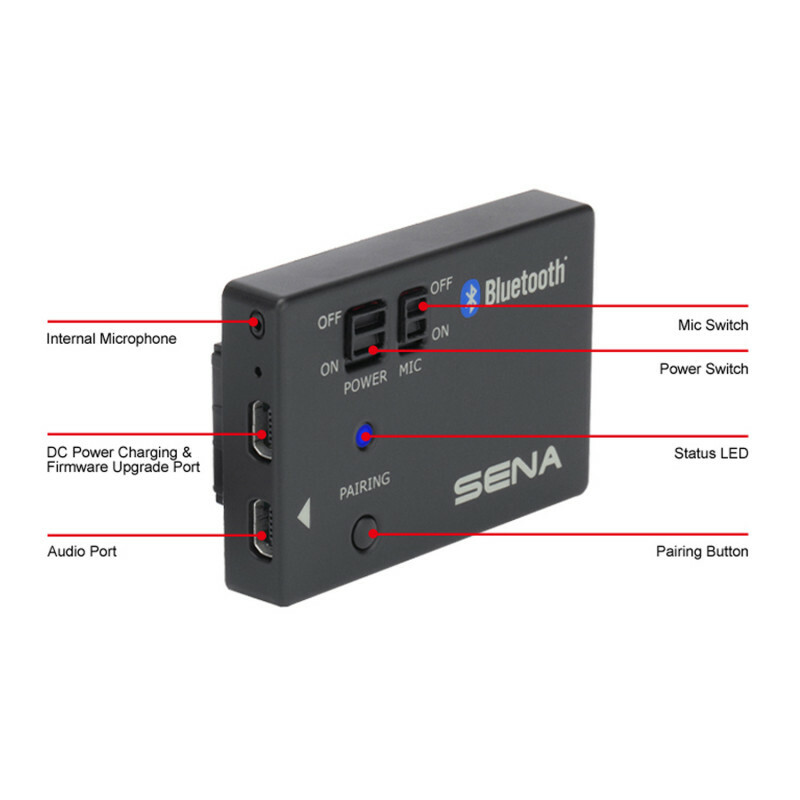 After an initial setup, the Sena Bluetooth Audio Pack automatically connects you to the paired headsets. 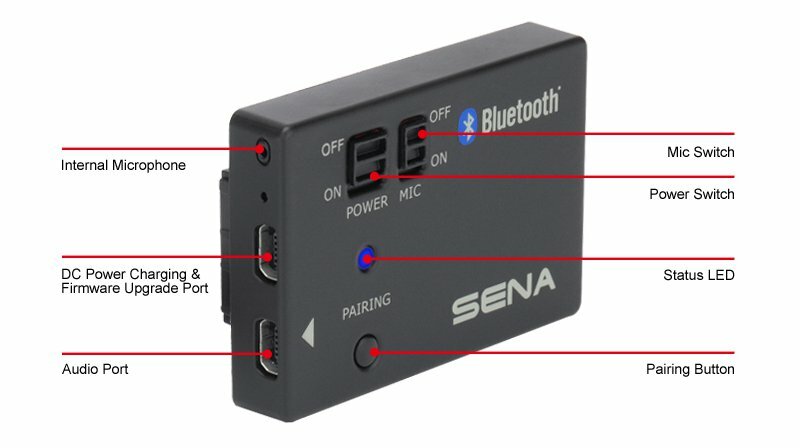 Integrated voice prompts help with the setup. 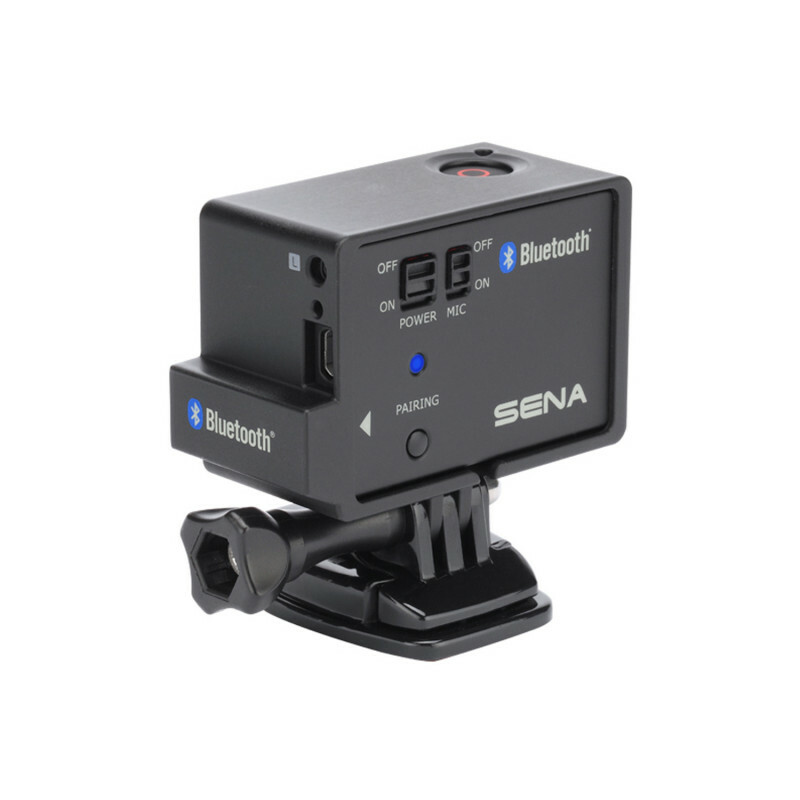 Simple on/off switches make it easy to control various aspects of operation, while the LED flash and voice prompts alert you when you're ready to shoot. 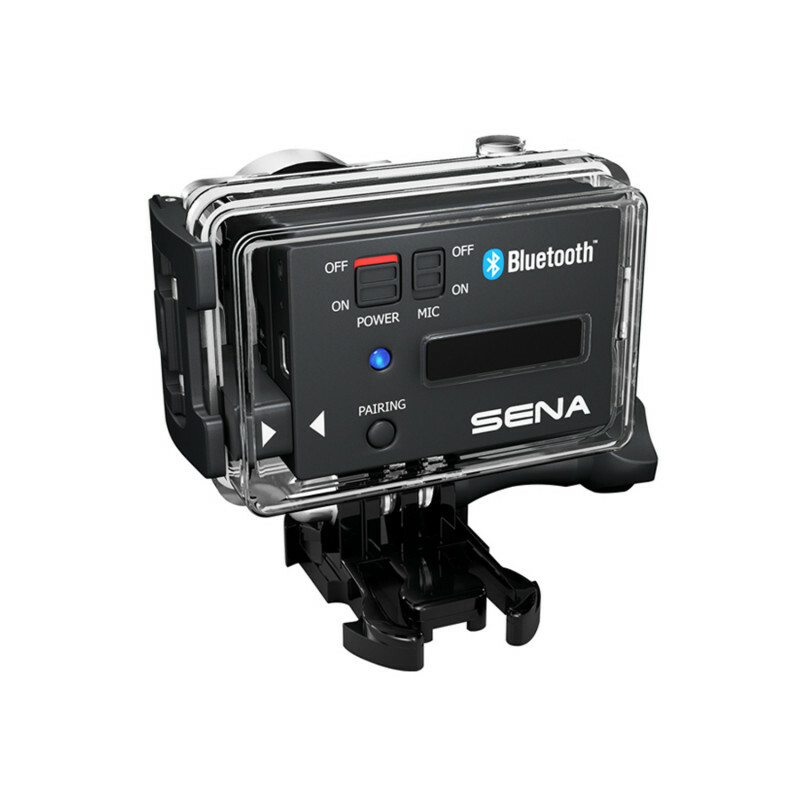 The waterproof housing protects the Bluetooth Audio Pack down to 40 meters. 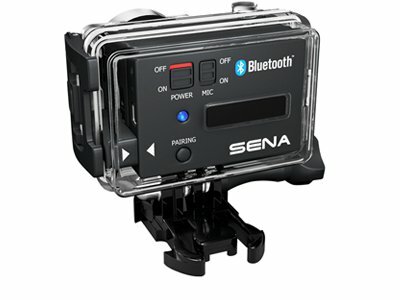 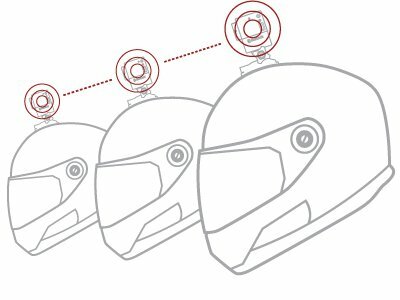 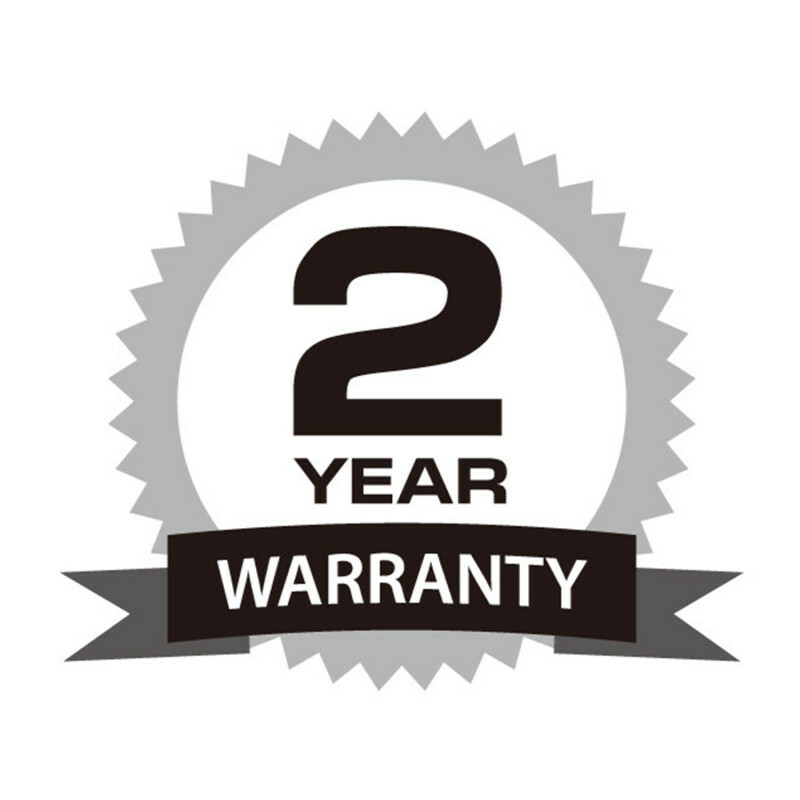 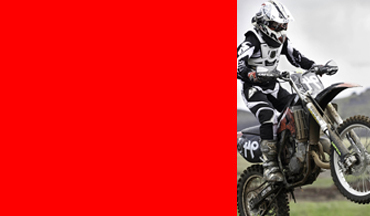 All registered Sena owners get access to free firmware upgrades, which ensure your Bluetooth Audio Pack for GoPro is always operating with the latest software updates.